I love Rose and Connor. Their relationship has been up at the top of my favorites since I started the Addicted series, and so I was looking forward to reading the next (and, sadly, last) installment of their story. This will probably come as no surprise to anybody, but it’s been almost two weeks since I finished Fuel the Fire, and I’m still at a loss for what to say. This is a thing that happens to me when I read a book I really like. I can write a full-length novel about how much I hated something, but when I love something, everything comes out a mess. How can I review the eighth book in a series without spoiling everything? What can I even say about the conclusion of Rose and Connor’s story? I feel like still, after all this time of trying to organize my thoughts, everything is going to come out in a nonsensical blob. 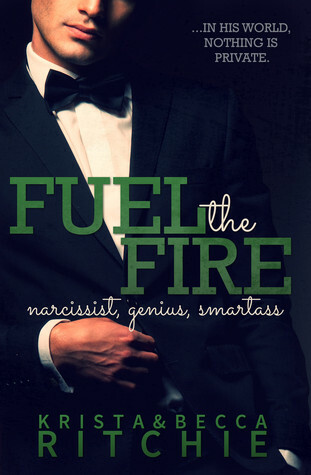 • I loved Fuel the Fire. • It was not what I expected. • This is an important book that deals with important things. I don’t want to spoil the previous seven books for anyone who might stumble upon this review, so I’m going to try to be brief and to the point. This book is an emotional rollercoaster. Rose and Connor have always been strong. It’s clear that they can make it through anything. (The events of Kiss the Sky made that pretty clear.) But in Fuel the Fire, the strength of their relationship is tested as secrets, manipulations, and past indiscretions are revealed, creating what I think is a nice parallel to Lily’s story. In Fuel the Fire, Connor and Rose both have to deal with society’s expectations and the fall out from their families (and companies) as a result of the media’s insistence on seeing them fall from grace. It’s strange that this book, about Connor and Rose of all people, would be the most heartbreaking and emotional. I thought Lily and Lo had that covered pretty well. The book deals with questions of sexuality, affection, keeping up appearances, the power of the media, mental illness, physical illness, and unconditional love. 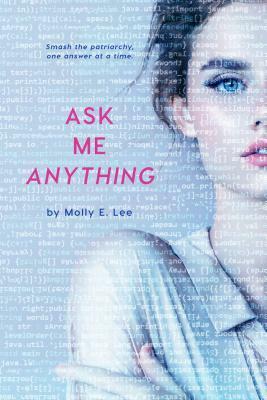 In addition to expanding upon Rose and Connor’s story, it also reveals more about Lily and Lo and Daisy and Ryke. There’s some closure of previous storylines while still leaving plenty open for Long Way Down, which I am eagerly anticipating. Two weeks later, my heart is still breaking for Connor, but I’m also so proud of him and Rose for how far they’ve come over the course of this series. As always, this series is highly, highly recommended.